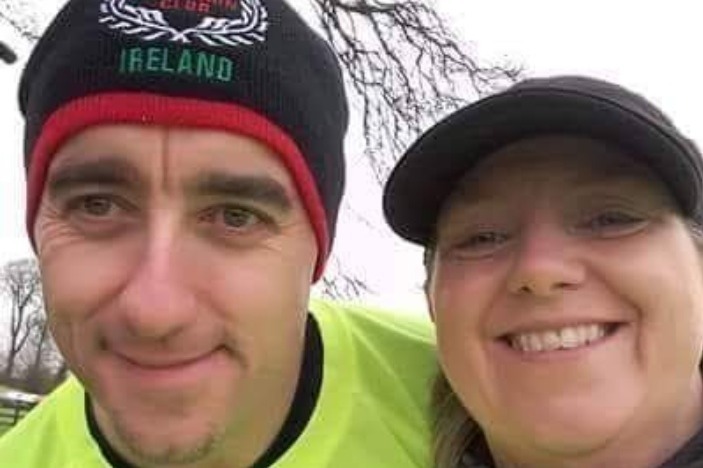 Shane and Brenda Dunphy are currently taking part in a 12-hour run at the Tullamore Harriers track in aid of two local children going through health battles. The couple are taking on the 12-hour Run/Walk/Crawl “Hope & Strength Challenge” on Friday, September 28 in aid of Henry Donnelly and Elsie Mae Scally. Shane and Brenda have a GoFundMe page for the event and the fundraiser here. They hope to raise €2,000 for Henry and Elsie Mae. Henry Donnelly was born 2015 in Midlands Regional Hospital in Mullingar with a post-birth diagnosis of Downs syndrome. After two weeks he was moved to Temple Street Children’s University Hospital with a slight breathing condition called a stridor. After months of having Henry on CPAP and going in and out of ICU, he was fitted with a Tracheostomy on his first birthday. Unfortunately, due to complications, Henry then had to be sedated for 12 weeks to help the site heal. Henry was later diagnosed with Leukaemia and was transferred to Our Lady’s Hospital in Crumlin for 5 months’ worth of Chemotherapy. He returned to Temple Street in January 2017 to restart Trachesotomy training, and finally, after two and a half years in hospital, Henry made it home a little less than a year ago. He is thriving at home but is still ventilated for at least 18 hours a day. Henry will still have his tracheostomy for a few years yet, slowing his progress in eating and verbalising. He is also getting physiotherapy to teach him to crawl and later walk. The Tullamore Harriers fundraiser will also help little Elsie Mae Scally from Kilclonfert. Earlier this year, Elsie's family were given the devastating news that their beloved daughter had Acute Lymphoblastic Leukaemia. Fun and mischievous Elsie was admitted to Our Lady’s Hospital in Crumlin in April and will continue treatment for at least the next two years. To support Brenda and Shane in their run for hope and for Henry and Elsie, you can donate here.